This is so sad, Ron you have done an amazing job with him, you couldn't have done more. He may pull through, but if not then be comforted knowing that he will have been so so grateful for your care and dedication to him. The vet as said that due to a bacterial infection that he got ,had caused a huge influx of toxins into his body and he couldn't take it. Ron, i just read on the other forum that he sadly died 20 minutes before your last post - I am, so so sorry. You did so much for the little guy, you are a blessing to the hedgehog world. Ron, you did everything you could 'till the very end, for that it takes someone very dedicated and who cares deeply for the Hedgehogs. You never gave up. Sorry for you lose Ron. 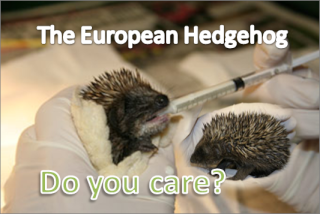 Wishing you the very best for any future Hedgehogs in your care.